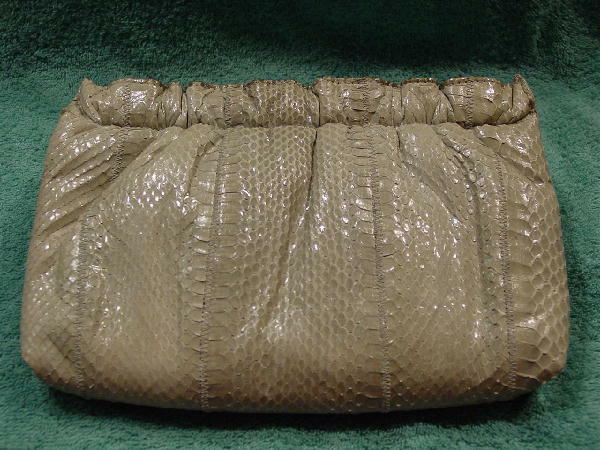 This ultra soft, padded yet light in weight, snakeskin purse is in a light gray. 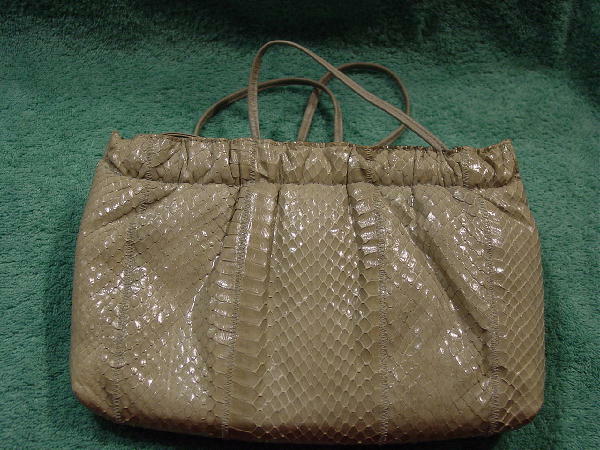 It has a thin gray leather 39" long shoulder strap which can be tucked in and the purse carried as a clutch. There is gathering (1" wide) around the top and it has light gray leather on the inside gathering. 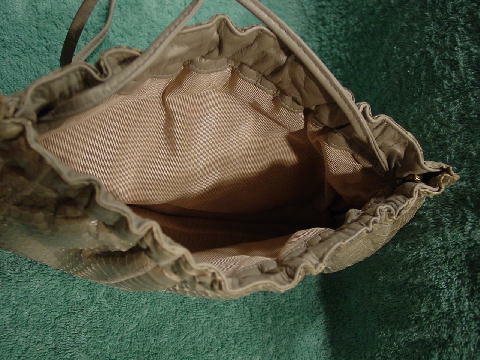 There is a really nice micro-ribbed light gray fabric lining. It's from a former model who only used it twice, once at a movie premiere and the other time to a charity fundraiser.